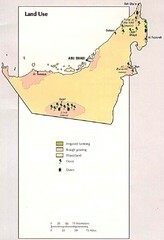 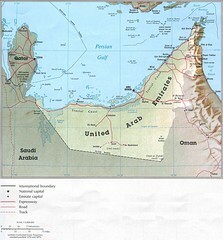 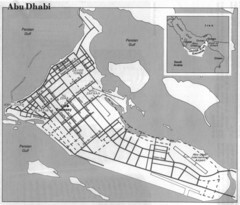 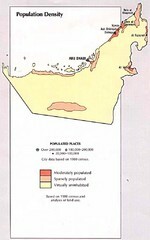 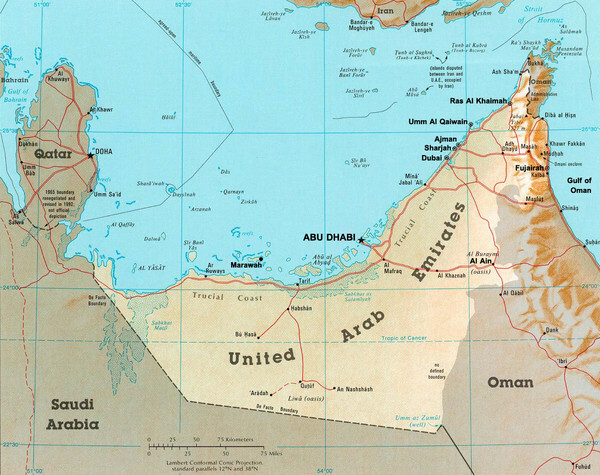 Map of United Arab Emirates and surrounding countries. 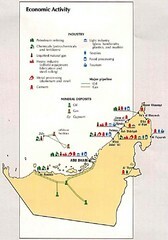 Major cities, roads, mountains and waterways shown. 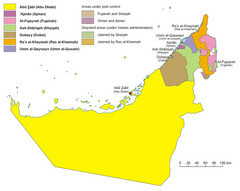 Countries defined by colors in UAE map.